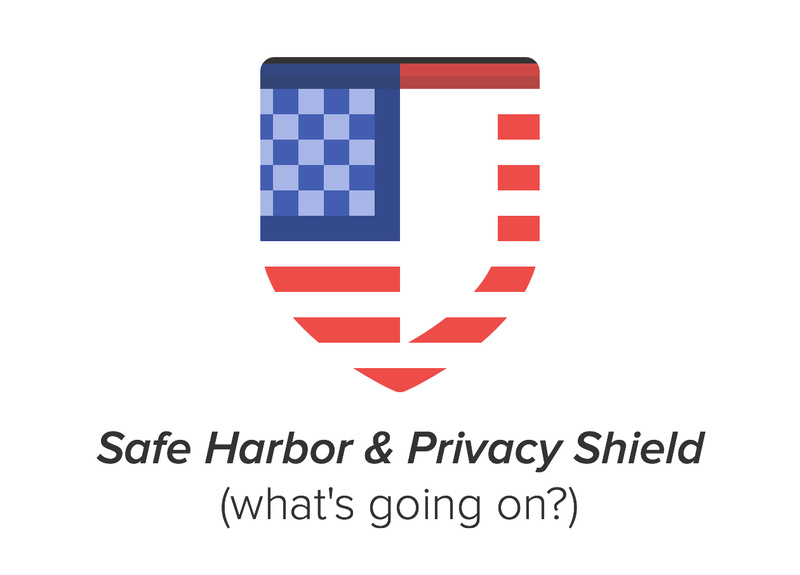 SafeHarbour, Privacy Shield, what is everyone talking about? Update: we’re adding new information to the bottom of the post. If you are reading the news at the moment you might have stumbled upon a lot of coverage about Safe Harbour (or Safe Harbor), Privacy Shield and the talk of data transfers from outside of the EU, namely into the US. 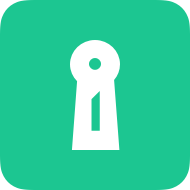 We thought it was our duty to summarise to our users what is going and what this is going to change – also with online privacy notices in mind. At its core the whole debate revolves around the fact how someone might lawfully transfer data from Europeans into states outside of the EU (again in this case the US). EU law requires sufficient levels of data protection for (personal) data by its citizens in order for these transfers to occur lawfully. One option to base these transfers on in a simple way was the Safe Harbour agreement. It was a simple certification for companies to basically exhibit the same data protection standards and thus be eligible to receive data from Europeans in an uncomplicated manner. On 6 October 2015, the European Court of Justice declared that the widely applied Safe Harbour arrangement was invalid (in the so-called Schrems case). This decision then called for renewed negotiations in order not to leave European businesses in the unknown regarding their possibilities for data transfer into the US. In the end of January 2016, a much-anticipated deadline elapsed for the communication of how the future shall look like in regard to data transfers. What’s the current state of things? On February 2nd, the European Commission communicated that they and the United States have agreed on a new framework for transatlantic data flows: the EU-US Privacy Shield. Now that this framework is announced, not all is good yet. It will have to stand the scrutiny of the European data protection agencies in unison in the form of the Article 29 Working Group and then ultimately the national data protection agencies in each European country as well. The framework itself will be more closely looked at by the end of February, but it’s time to shift the attention to the national data protection agencies and their views of the legality of data transfers to the US and what in their opinion would be the conditions for it. In that sense, this is an ongoing issue that has to be followed closely in the next months if not years. “It is clearly too early for a final assessment. It seems the EU has tried to get as much as possible. This is also the first time we see at least some movement by the US side, after all letters and calls by European politicians were basically ignored. Going to courts over this matter and targeting the commercial sector seemed like a better strategy that most European politicians were so far using. Judging from the mere ‘headlines’ we know so far, I am however not sure if this system will stand the test before the Court of Justice. There will be clearly people that will challenge this – depending on the final text I may well be one of them”. As you can see, we all will need to be patient regarding this matter. What does this mean for your privacy disclosures? At the moment, it seems that many jurisdictions still allow the use of alternative mechanisms like “binding corporate rules,” for transfers within multinationals, and “model clauses,” for transfers between companies. How will this look like in the future? This is where at the moment people are still left in the unknown. The most likely answer would have to be that data transfers outside the EU to the US are not ok until there is a better framework in place. The data protection agency of Hamburg, one of the German state agencies, have hinted at these mechanisms probably also being out of date or at least, problematic. Some data protection agencies in Europe take a leaner approach and allow transfers if proper notices are part of them. No one has communicated definitive guidance yet, and this is what we’ll gradually be seeing in the coming weeks and months. 25.2.16 Germany: Since February, 24th, consumer protection associations may sue companies for data protection violations in Germany. At the last moment the responsible party (“the Ausschuss für Recht und Verbraucherschutz” added a grace period for companies that based their data transfers on Safe Harbor. The grace period runs until Sept., 30 2016. Read more about it on German IT Law. 29.2.16 European Commission: “The European Commission today issued a Communication summarising the actions taken to restore trust in transatlantic data flows since the 2013 surveillance revelations“. Find the documents here. This draft will now be examined and reviewed by a committee composed of representatives of the Member States and by the EDPS (“European Data Protection Supervisor”); it will then be submitted to representatives of the national data protection authorities (the Art. 29 Working Party) before the actual adoption of the final text by the European Commission. 1.3.16 Article 29 Working Party: the Art. 29 Working Party (a working group containing various European data protection agencies from the single member states) is going to analyze the documents and adopt a draft opinion at the next plenary meeting on 12 and 13 April 2016. 13.4.16 Article 29 Working Party publishes Opinion: “The WP29 notes the major improvements the Privacy Shield offers compared to the invalidated Safe Harbour decision. Given the concerns expressed and the clarifications asked, the WP29 urges the Commission to resolve these concerns, identify appropriate solutions and provide the requested clarifications in order to improve the draft adequacy decision and ensure the protection offered by the Privacy Shield is indeed essentially equivalent to that of the EU”. 12.7.16 European Commission adopts Privacy Shield with the words: “This new framework protects the fundamental rights of anyone in the EU whose personal data is transferred to the United States as well as bringing legal clarity for businesses relying on transatlantic data transfers.”. It remains to be seen where Privacy Shield goes from here. We’ll observe the situation with a bit scepticism. 26.7.16 Article 29 WP: “we are not going to challenge Privacy Shield until it has gone through its first annual review” as reported by Reuters. 29.8.16: Google Analytics adopts Privacy Shield. 26.10.16: “Privacy group launches legal challenge against EU-U.S. data pact” as reported by Reuters.